Are you interested in being part of the Canton Cup Crew? 1. You must be 13/14 years old. 2. You must be a grade 8 referee (Grade 9 will be considered with minimum experience of 2 years). Jamie will enter your information into GameOfficials.net where you will be notified with instructions, game availability, etc. Assigning will begin no earlier than two weeks prior to the start of the tournament. Once you are assigned a game, you will receive an email and/or text (depending on how you set up your Game Officials account) stating that you have been offered a game(s). Friday games will be assigned first, followed by games on Saturday, and Sunday. The tournament will provide a continental breakfast, lunch, and dinner on Saturday. A continental breakfast and lunch will be provided on Sunday. There will be beverages in each referee tent at all locations. Referee tents will be well marked. No coffee will be provided. For your convenience, there will be vendors at each location selling coffee. 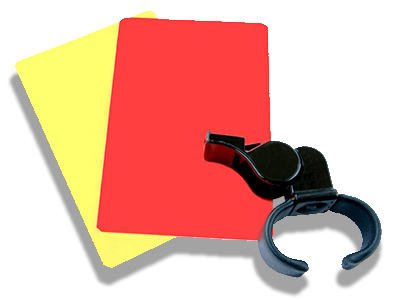 There will be a referee meeting at 4 pm at Independence Park, Heritage Park, and Plymouth Canton Educational Park (PCEP) on Friday, May 27, 2016. A follow up email will be sent out a few days prior to the meeting with the exact spot at each location. The tournament does provide lodging for out of town referees who travel over 30 miles one way. The tournament does not reimburse for mileage. Referees will receive pay stubs per game and will turn those in at the end for payment. In addition, each referee will receive a commemorative flip coin. If you have any questions regarding reffing at the tournament, please contact the referee coordinator Jamie Kaczanowski at [email protected] or 734-716-7078.